“Hilarious”, “witty”, “I love this novel” are just some of the quotes on the cover of the book. I’m afraid I wouldn’t deploy any of them in describing it. I really, really, really wanted to love this but I’m afraid it was just a bit dull. There were momentary sparks of humour but I just could not get excited about Fitger and his correspondence which seemed to cover most of the bases of academic life but just in a rather predictable manner. Maybe the sequel will be a bit more fun. A hilarious new academic satire? Is it a delicious romp of satire? We’ll have to wait for the paperback (unless someone wants to send me a review copy) and then see what all the fuss is about. Is it as good as Cornford’s Microcosmographia Academica? Who knows, but “fearsome department secretary” doesn’t sound like a major character innovation and arguments about office space are tough to get a giggle out of. However, everyone who has read the book so far seems to like it – you can read all of the exceptionally positive reviews on Amazon.com here. I remain open-minded though and look forward to reading more about the slings and arrows in due course. The answers to the quiz which literally quite a few people have been talking about. Over on WonkHE I recently set a quiz about academic authors/author academics. The exciting test was to spot five individuals from a list who are not or were not both academics and writers of fiction. At time of writing this no-one had identified more than three of the five so I thought I had better provide the answers to prevent undue distress. Quiz: What’s in a University name? But what about the UK universities? I can think of three which include the names of benefactors and 13 which are named wholly or in part after someone (plus a 14th in this group which no longer exists). Any advances on these six? Any others? Note have excluded constituent colleges of collegiate universities. Would you buy a hoody from these people? Text of a letter received (with a “clothe” sample) in Vice-Chancellor’s Office. I have changed the name of the company to protect the innocent. They really do need to get someone to work on that translation into English. I’m the responsible of the relationship between my company and the Universities. ABC, an Italian fashion company, would like realise a merchandising line for your university. I have sent you one of our iconic clothe to explain you the high quality of our production. The University world is always in our D.N.A. and I’d like to speak with the person who cares the merchandising of the University of Nottingham. I hope to have an help from you and to create a link between two big excellences like ABC and University of Nottingham. 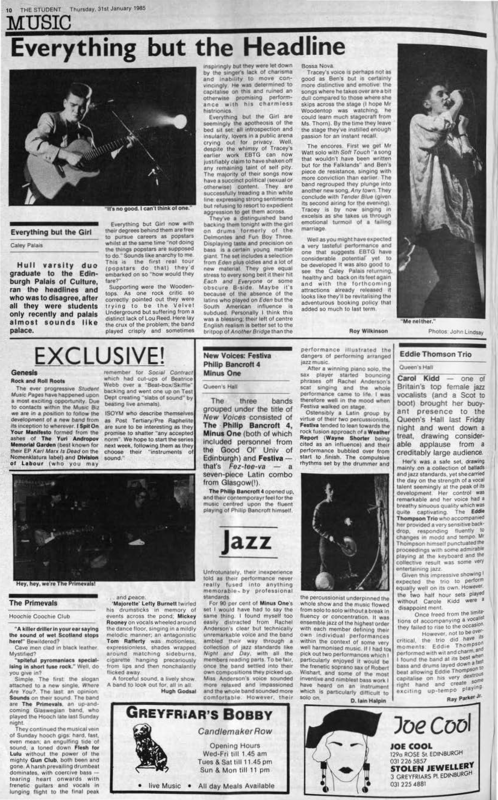 It’s a rubbish headline obviously and not quite how I remember the gig which to my mind was uniformly wonderful. That’s nostalgia for you though. 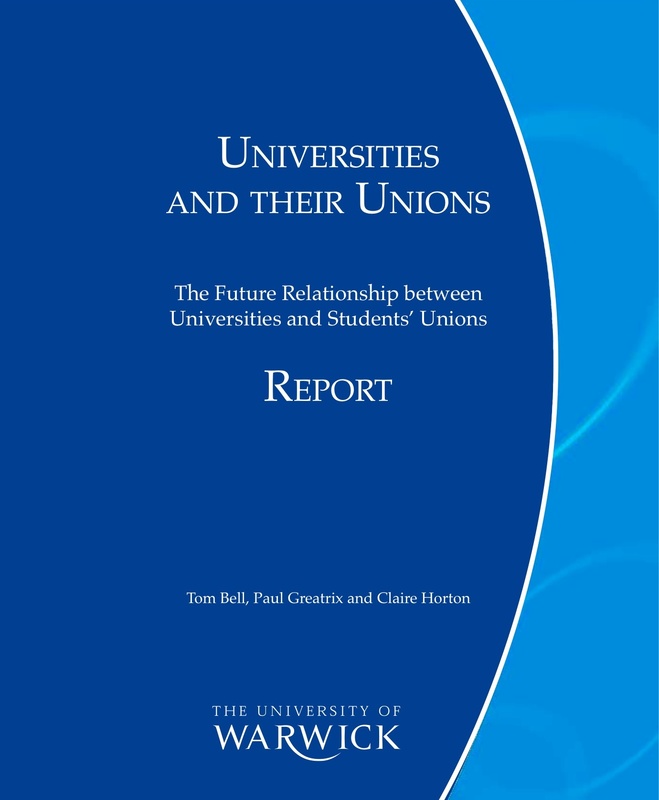 Universities and Student Unions – even more to be said beyond the original Greatrix, Horton and Bell report. In a crude attempt to cover all possible media platforms, there is now available an immensely stimulating podcast of a discussion involving self and Claire Horton facilitated splendidly by Tom Abbott. Warwick’s podcast site under ‘University relations with student organisations’. See the Oxcheps site for the original report (it’s listed as Paper 28).